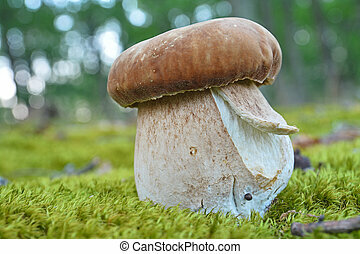 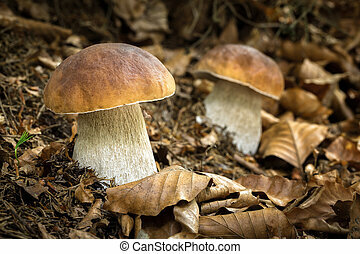 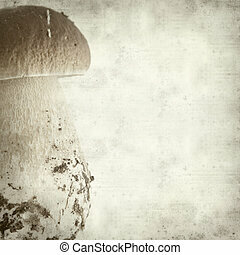 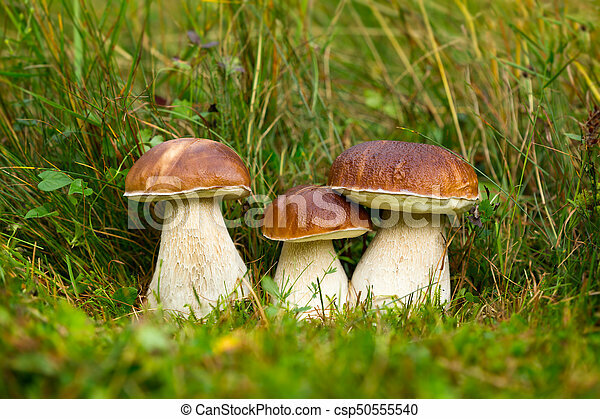 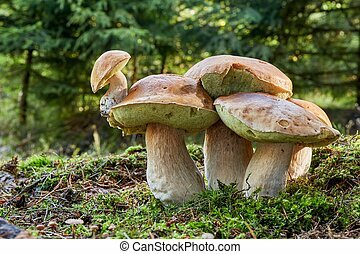 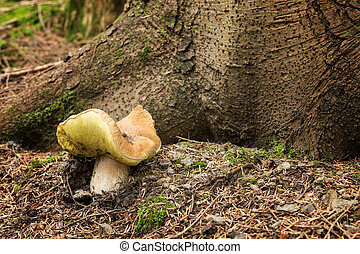 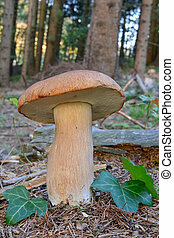 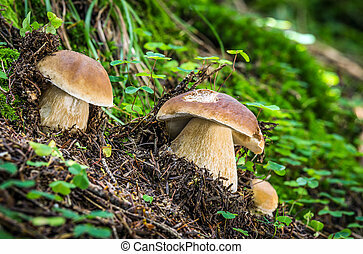 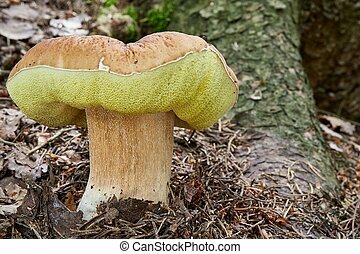 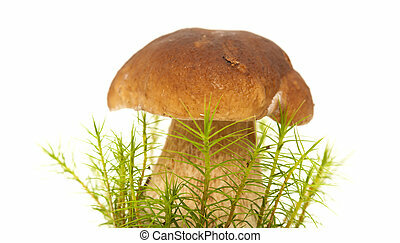 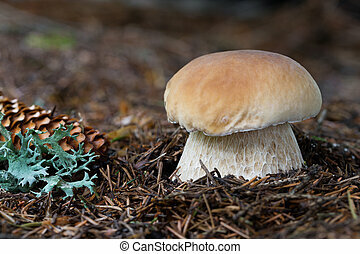 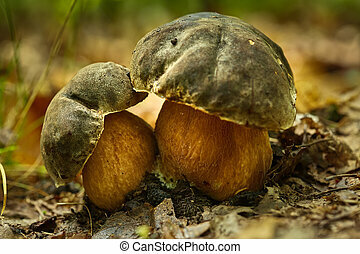 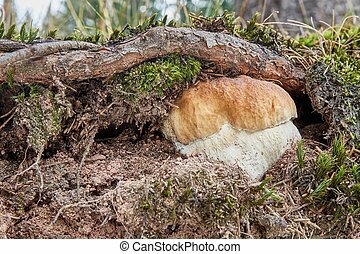 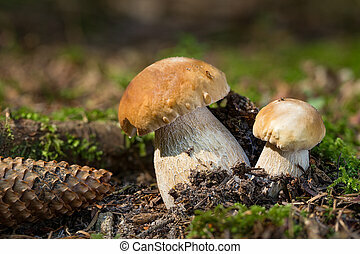 Boletus edulis, edible mushroom. 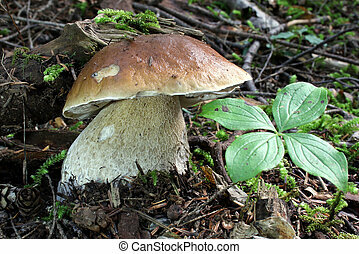 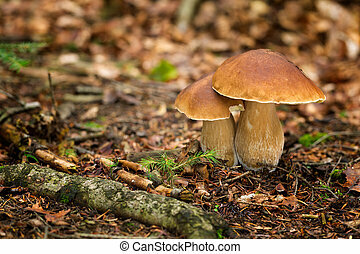 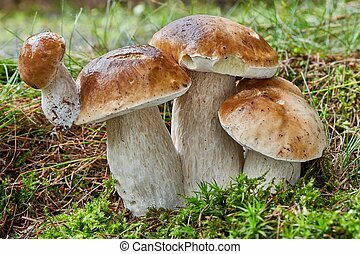 Edible mushrooms with excellent taste, boletus edulis. 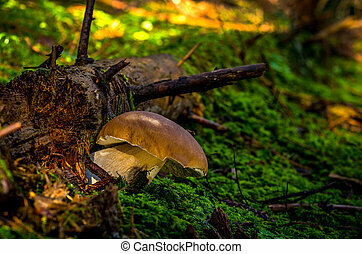 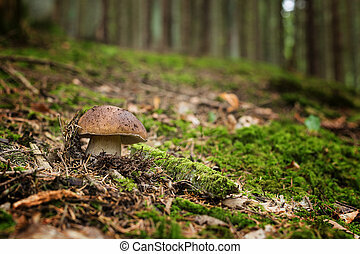 Porcini on moss in forest and sunlight. 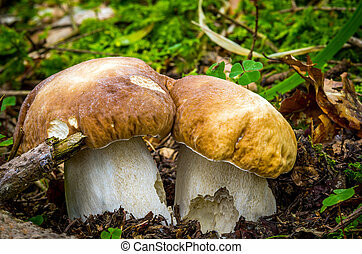 Healthy and delicates food. 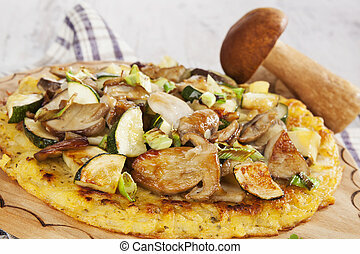 Golden potato pancake with fresh vegetable and mushrooms, close up. 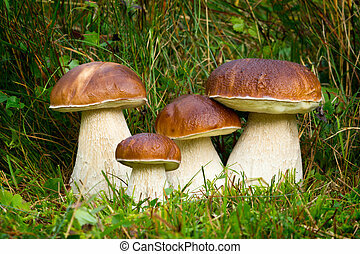 Culinary traditional european eating. 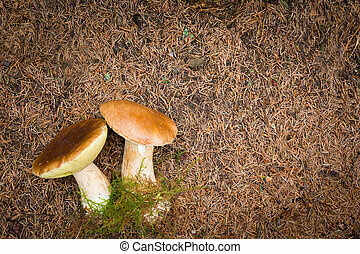 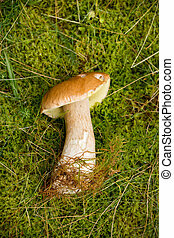 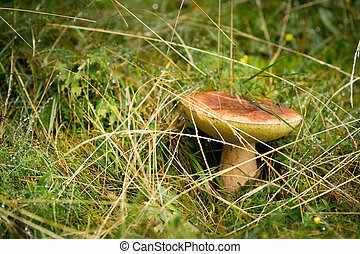 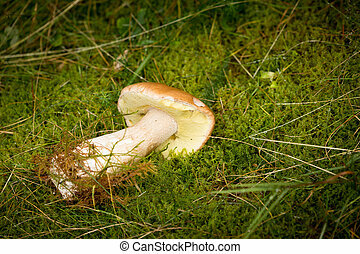 Boletus edulis. 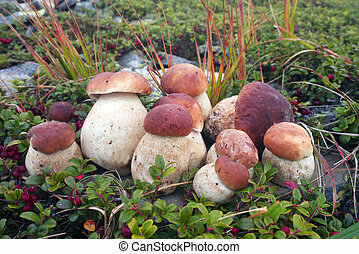 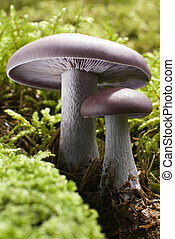 Edible mushrooms with excellent taste. 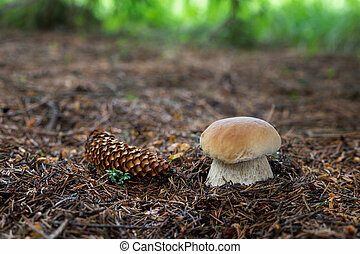 Bio food. 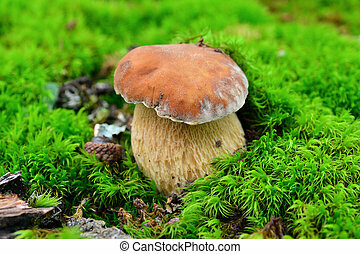 Uncultivated fungi.